A professional gun designed for the application of single component polyurethane foam and foaming adhesives packaged in pressurised cans with threaded nut. The gun enables the user to adjust the product flow thereby reducing waste and ensuring accurate dispensing. This gun is equipped with an extra long barrel to facilitate stand up application of INSTA-STIK 750ml roofing adhesive and the application of other foam adhesives and expanding foam in hard to reach areas. The gun is hermetically sealed, which prevents hardening of the product in the gun during normal use and lay ups. Both the basket and the gun are coated with anti-adhesive coating in P.T.F.E. for easy cleaning. A professional metal foam gun for extruding single-component polyurethane foam and foaming adhesives pressurised in cylinders equipped with a threaded nut. The I.S.165 is characterised by its light weight whilst still maintaining quality at a reasonable price. 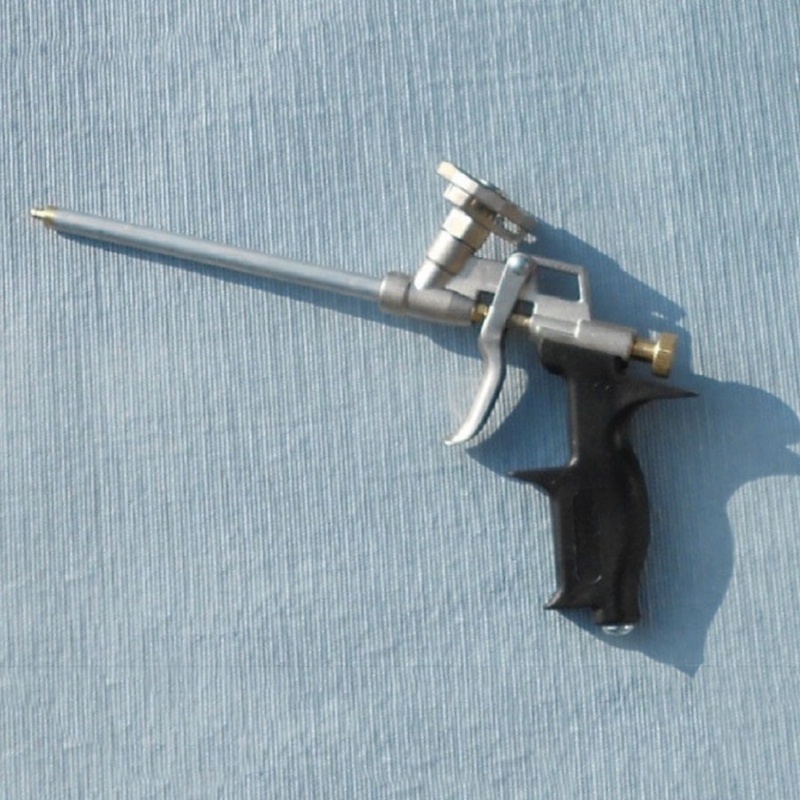 The gun is equipped with 1 No: plastic tube extension to reach difficult parts. Thanks to the back screw to adjust the product's flow, the gun is able to control speed and bead size accurately thereby ensuring safe clean and accurate application. The gun is hermetically sealed, so that the product inside the gun will not harden during the work's break and during normal use.